I’m not sure if it wast the last post that had the effect of spurring me on to the Great Finishing Spree of 2017, or some kind of baby-related desire to get things done, or maybe it was the simple act of putting all the half-finished things into one box, but whatever it was, it worked. 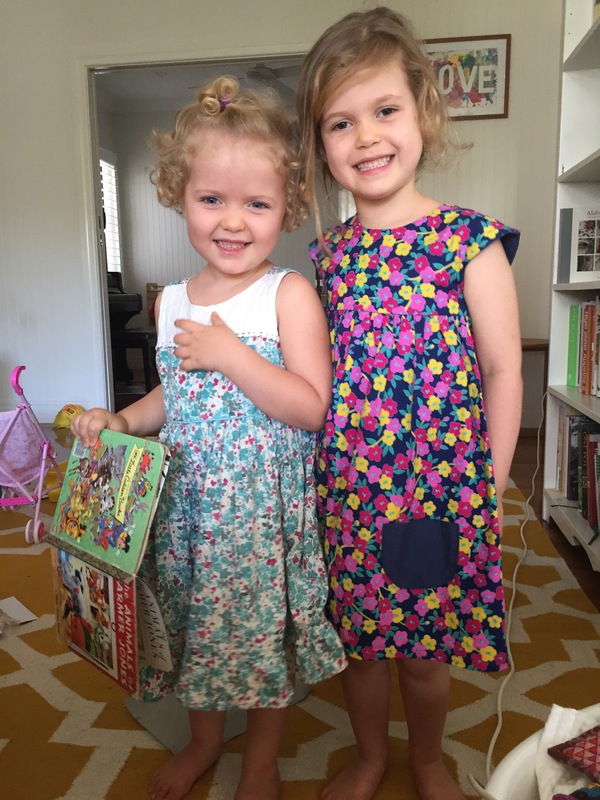 I finished Nina’s Geranium Dress and it actually still fits (at least for this month) and she loves it, and has worn it every weekend since. The snaps were a REVELATION: after I worked out how to attach them it took all of 3 minutes to finish the dress, and from there I went straight online and ordered snaps in all the colours. (Seriously. Sixty.) Obviously I plan to snap all the things, until further notice. 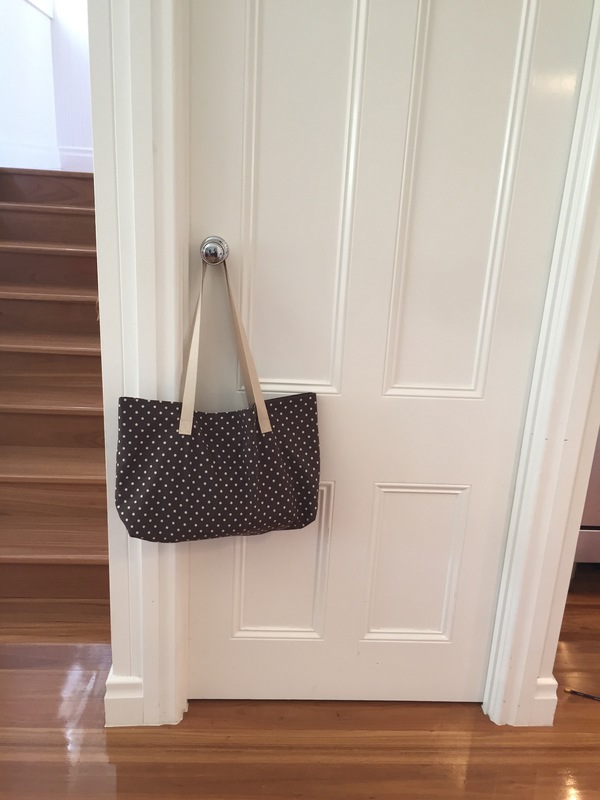 The Pretty Zippy pouch was finished in time for mum’s birthday, and has happily found meaning in life storing crochet hooks. 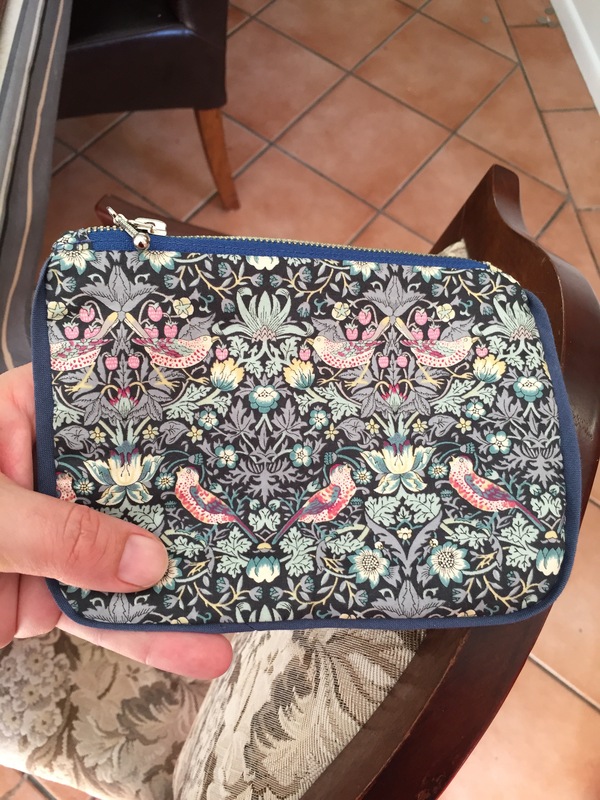 Speaking of which, I will detour to say: have a look at THIS thing of beauty – an Etsy impulse buy, a beautifully handmade linen crochet hook case made by Namolio. It arrived just in time for me to call it a birthday present to myself. It did occur to me I could have made my own case, but I think one nice thing about being a maker is when you recognise another maker with expertise greater than yours, and are grateful and happy to pay them a fair price for their work. 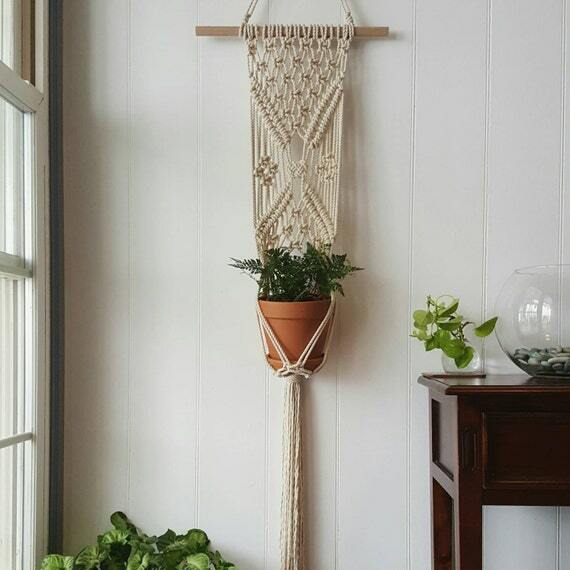 In that vein, I also have my Etsy eye on this macramé plant holder. Isn’t it lovely? Continuing the roll I’m on, I also sewed up a calico insert (with zip! 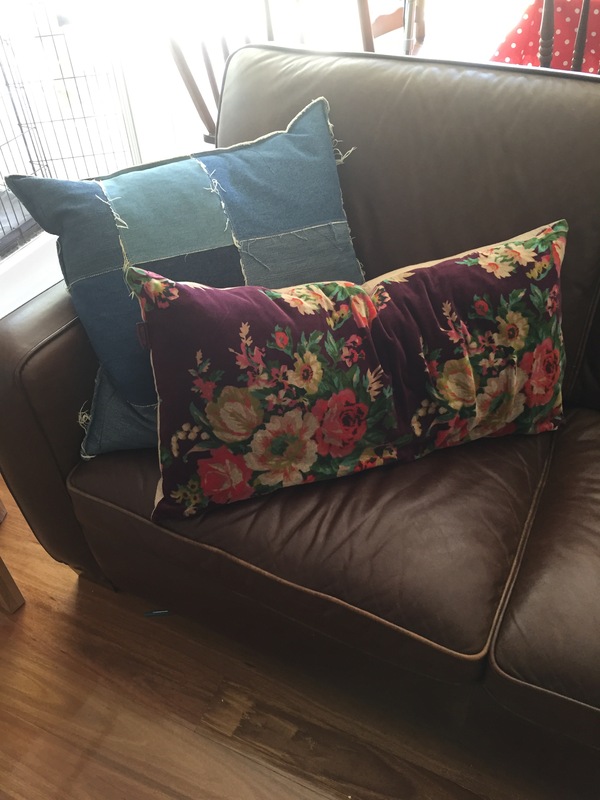 following this excellent tutorial from Melly Sews, my new go-to method) for the French velvet cushion cover – easily my new favourite. I’ve been looking for an eco-friendly cushion filling, so for this one I splurged and bought some downs wool to stuff it with, which feels perfect. I just love it. 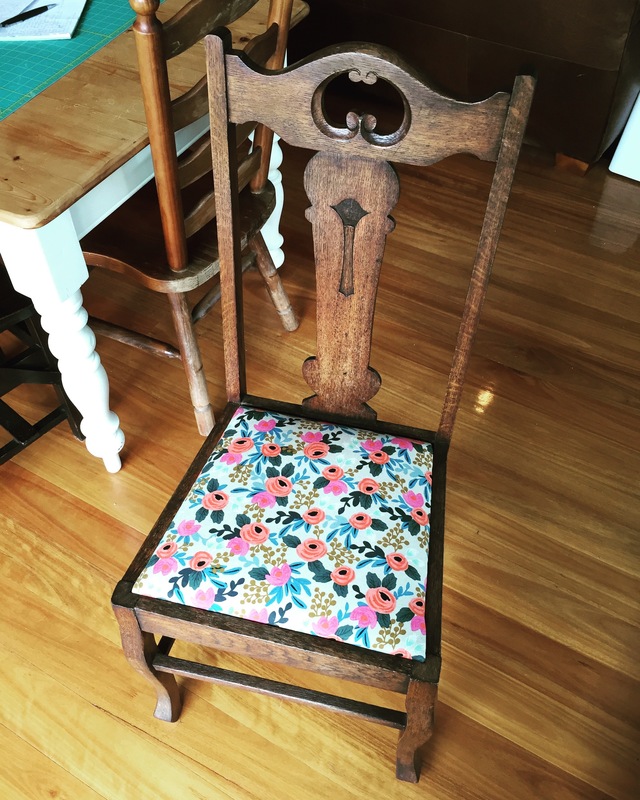 The floral print is a bit old-fashioned, but then so am I. AND I finished the tote bag, which was immediately put to use holding a fabric selection together for a larger quilt project I’m working on (you didn’t think I was resisting the call of starting something new, did you?). I love it, and want to use it all the time, instead of my ugly standard-issue “green” bags. I’d love to make a few more. I forgot to take a photo of the lining, which is far and away the best part – lining is one of those happy makers’ secrets. In knitting news, I also started and finished a birthday beanie for a friend in Sweden. 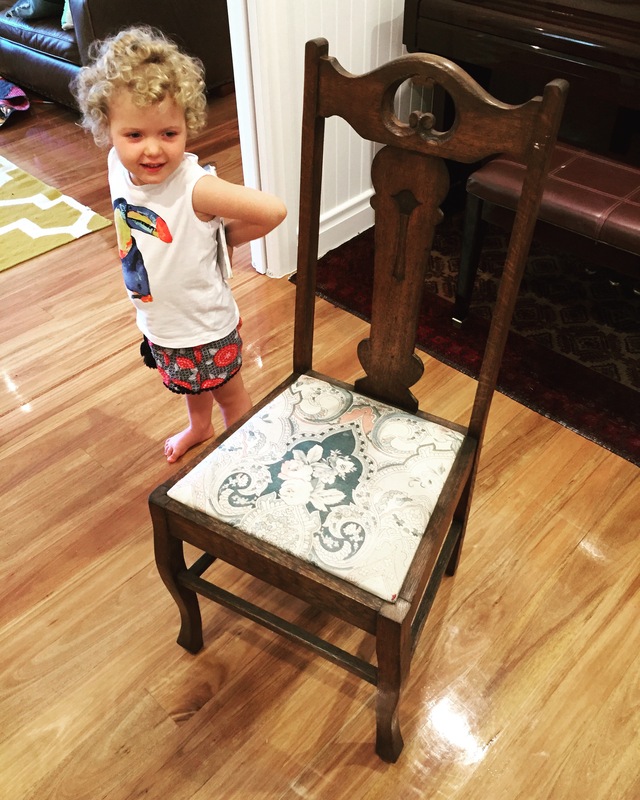 Whose birthday was…a couple of days ago. But you know, thought that counts, etc, etc. It’s officially “in the mail”. It’s been a long time since I knitted anything at all, and it was a real pleasure. 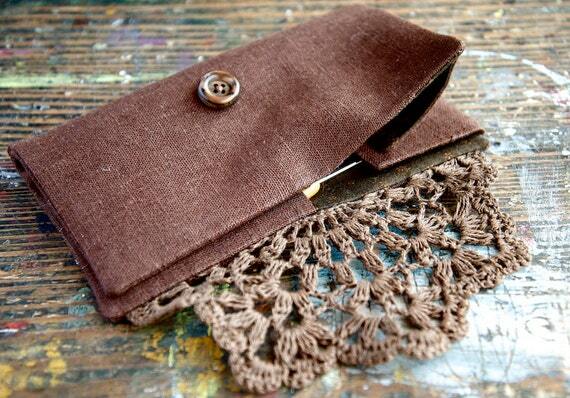 So lovely and portable, after becoming accustomed to a sewing machine. 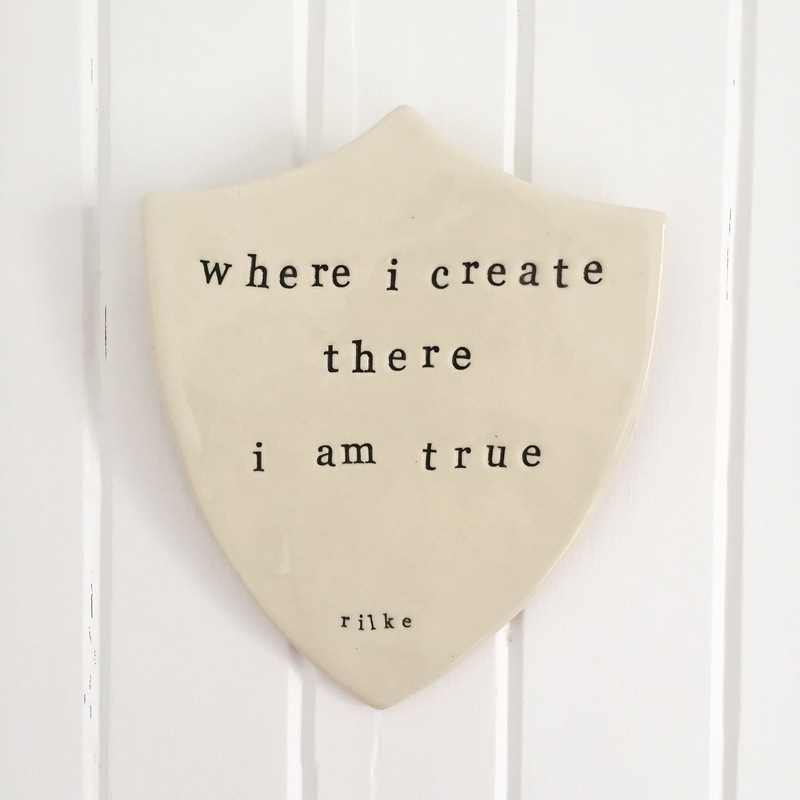 Finally, although I obviously didn’t make it myself, I bought and hung this ceramic shield, handmade by Paper Boat Press in Ashgrove. Rilke means a lot to me (he will be the reason I learn German, one day) and I am so pleased to have this in my home to remind me of something important.